Why take lessons at Doo Wop? 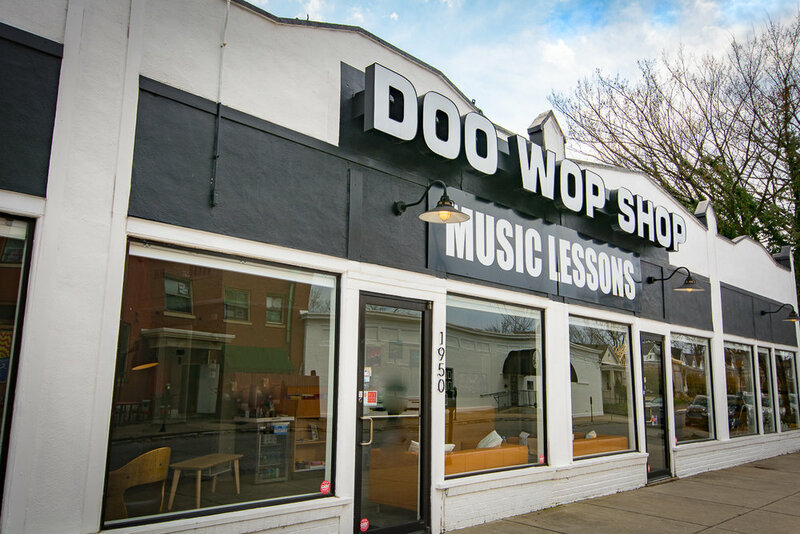 Doo Wop Shop offers lessons on piano, guitar, bass, drums, voice, violin, ukulele, brass, woodwinds, and more! The chance to begin or continue a life-long relationship with music! Free rental instrument for one month with enrollment! Check out our roster of instructors. Peruse their credentials and get to know them. Check out our roster of instructors for more information. Doo Wop Music Lessons studio is located at 1950 Bonnycastle Ave., right across the street from our Highlands location. Give us a call at (502) 434-7077 or (502) 456-5250 to get signed up today!